The Dubai-Kuwait route has been ranked 9th among the 'World's 20 Busiest Routes', according to a study by air travel intelligence firm OAG Aviation. The results were based on frequency in the 12 months between March 2017 and February 2018 with 15,332 flights and more than 2.7 million passengers carried. It is the busiest route in the entire Middle East and Africa region. Emirates airline remains the largest carrier on the route with 49 per cent share in the total capacity. The other airlines are flydubai, Kuwait Airways and Jazeera Airways. Dubai International remains a major hub with 38 per cent connecting share and 62 per cent local share at destination. The trip between Singapore and the Malaysian capital Kuala Lumpur is the world's busiest international air route, with more than 30,500 flights between the cities in the year to February, a new study showed. There were on average 84 flights daily making the short hop which takes about an hour, according to the study. A large number of airlines serve the route, from full-service carriers such as Singapore Airlines and Malaysia Airlines to budget ones like AirAsia. A high-speed railway line is being built to link the cities and is expected to be completed in 2026, cutting travel time overland to 90 minutes from around five hours. 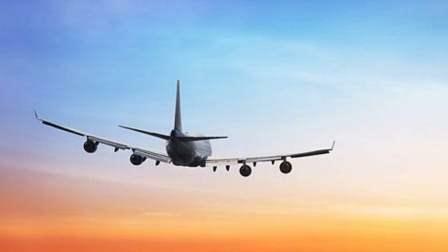 Asia dominated the list of the world's 20 busiest international air routes, with 14 operating to and from destinations in the region, Britain-based OAG said. Two operate within Europe, two in North America, one between North America and Europe, while another is in the Middle East, it added. The world's second busiest air route is between Hong Kong and the Taiwanese capital Taipei, with 28,887 flights in the year to February, followed by the Jakarta to Singapore route with 27,304 flights.